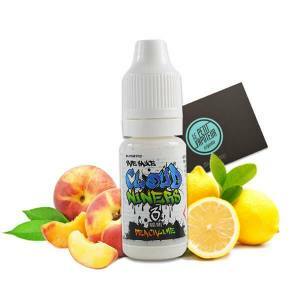 Cloud Niners, from the Malaysian Vape manufacturers is a range of Malaysian E-liquids. In principal, fruity, the recipe from Cloud Niners are simple, rich in taste, with flavours such as Pineapple, Litchee and also with Mango, which is quite realistic. Without a doubt a new reference for the amateurs of taste. Taste this sweet and savoury Melon! Appreciate a very fresh Pineapple Juice ! A delicious and surprising Mango. 50ml E Liquid! The softness and sweet taste of Banana with a twist of freshness like Cloud Niners.